 At Contemporary Automotive, we have a very simple goal: to make your automotive experience as enjoyable as possible. No matter what brings you to our dealership, we want to provide you with the friendly help and resources that you need to be an informed shopper. That commitment to our customers is one of the key reasons to choose our Milford car dealership. Whether you’re exploring our showroom to choose a new vehicle from Chrysler, Dodge, Jeep, RAM, or FIAT, searching for the perfect quality pre-owned car, discussing financing with our team, looking for the perfect fit with a new car part, or having your current vehicle serviced, we want to provide you with the personalized assistance you deserve. If you have any questions at all, don’t hesitate to reach out to us! We’re always happy to lend a hand, whether it’s in person, over the phone, or here online. That’s part of what defines the Contemporary Automotive experience here at our Milford dealership. Whatever your automotive needs are, we invite you to reach out to us with any questions or concerns. You can fill out the convenient form on this page, give us a call at (844) 500-6722, or simply drop by our dealership to learn more. We hope to see you soon!